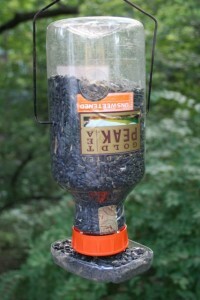 Instead of firing up your car to drive to the hardware store to buy a bird feeder shipped here all the way from China you can dig though your recycling bin and have a good looking bird feeder in a few simple steps and save money in the process. I used two large plastic bottles. 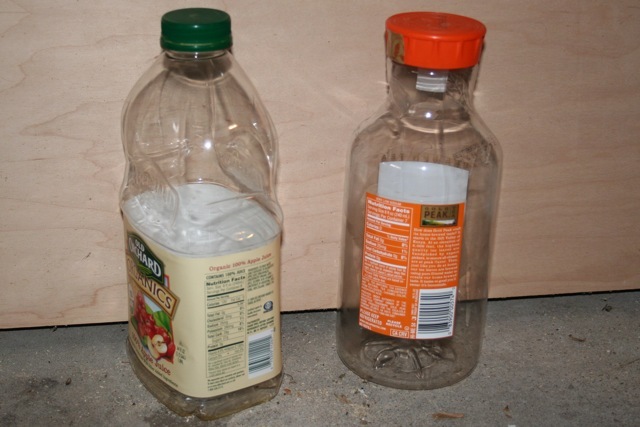 One bottle is commonly used as a tea or lemonade bottle and one was a juice bottle. 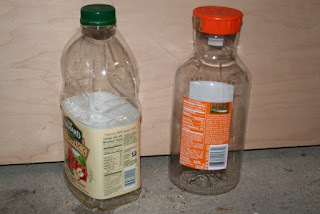 I used one bottle for holding the seed and attached a coat hanger through the top of the bottle and twisted the wire together at the top to use it as the hanger. 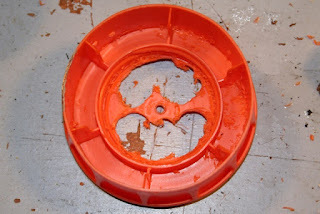 Then I drilled part of the lid out and left a center portion to hold the seed catcher. 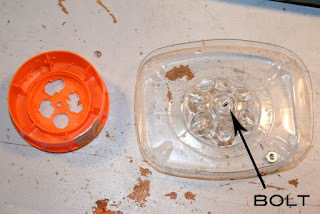 I cut the bottom of the juice bottle off and drilled a bunch of tiny holes in the bottom for water drainage. Next I drilled a hole through the seed catcher and the lid to attach a bolt. Once the bolt is attached you can just fill the bottle with seed and test your bird feeder out. Now make one for your neighbors too because they will be envious.